Thank you for visiting our site. If you do not find what you are looking for or if there is any additional information you might need, please contact us at service@advancedlandscapes.com. Advanced Landscapes is the premier provider of superior quality landscaping and irrigation for the Central Texas Area. We aim to make raving fans of our customers through professionalism, quality, and world-class customer service. Our mission is to sell the highest quality landscaping and irrigation services while respecting the environment, building lasting relationships with our customers, and providing a safe and equitable workplace for our employees. 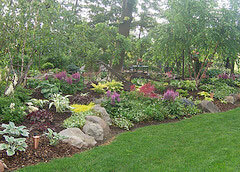 Call us today to get started on your landscaping or sprinkler project!